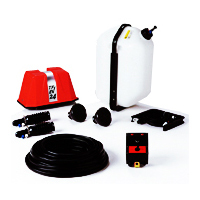 Simple and economic addition to the spray tank solution allows operators to see at a glance the spray pattern being applied. 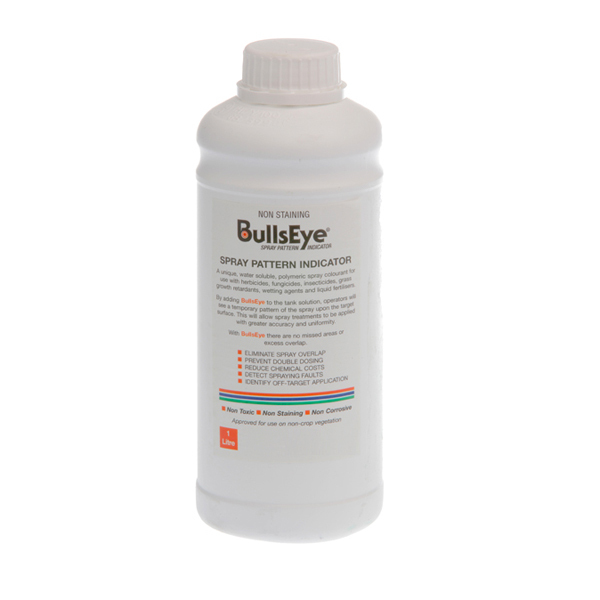 Eliminates overlap, double dosing and missed areas. Can be used in power and knapsack sprayers. 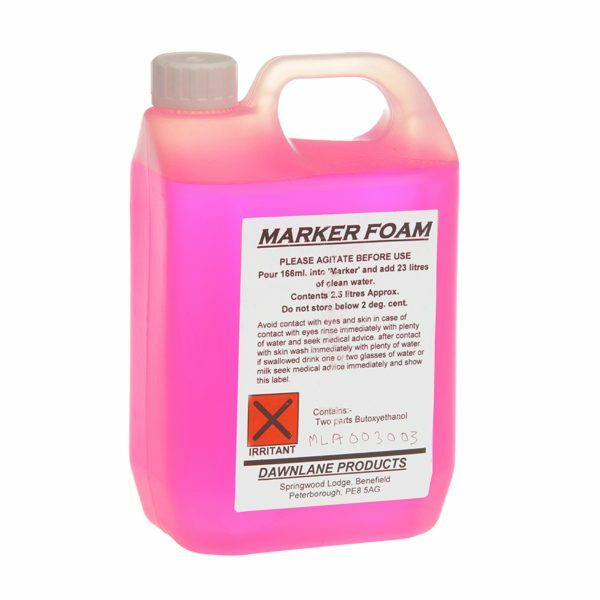 Ideal for use when spot treating as the operator can see what has and what has not been sprayed. High strength polyethylene tank can be fitted to all spraying machines. 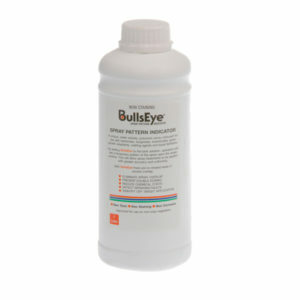 Eliminated the risk of overdosing and missed areas. Safety valve on tank plug adjusted to 1 bar. Power supply is 12 volt and system comes with 33 metres of tubing. Two nozzle heights (180/350mm) are available.